Operation Farmer is RHS Young School Gardener of the Year 2014! 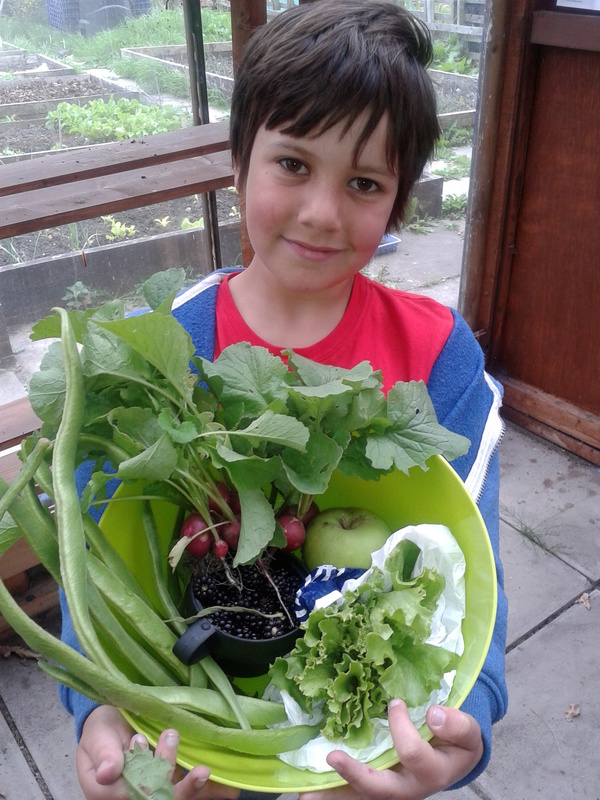 Huge congratulations to Operation Farm volunteer George Hassall, eight years old, from Buckton Vale Primary School in Carrbrook, near Greater Manchester who has been named RHS Young School Gardener of the Year 2014. George, who is Operation Farm co-founder, Alison Shockledge’s son, will be familiar to many from Harvest Festivals and other events. He wowed judges of this national award with his “infectious enthusiasm, passion and impressive knowledge of gardening”. The panel of judges included ITV’s Love Your Garden presenter, Frances Tophill, broadcaster and gardening editor, Peter Seabrook and Head of Site at RHS Garden Hyde Hall, Ian Le Gros. Between January and May this year, over 200 nominations for pupils, gardening clubs and colleagues were sent by schools to the RHS Campaign for School Gardening. 12 finalists were selected for RHS Young School Gardener of the Year and four finalists for both RHS School Gardening Champion of the Year and RHS School Gardening Team of the Year. Each of the finalists was given a digital camcorder to make a short film that would show the judging panel their knowledge and passion for gardening. George beat off stiff competition to be awarded winner of the 7-11 age group and the title of RHS Young School Gardener of the Year 2014. ← All hands on dock!